Sometimes you want to get on a ship and go to Dubai Creek, look at the historical areas of Dubai and architectural structures. 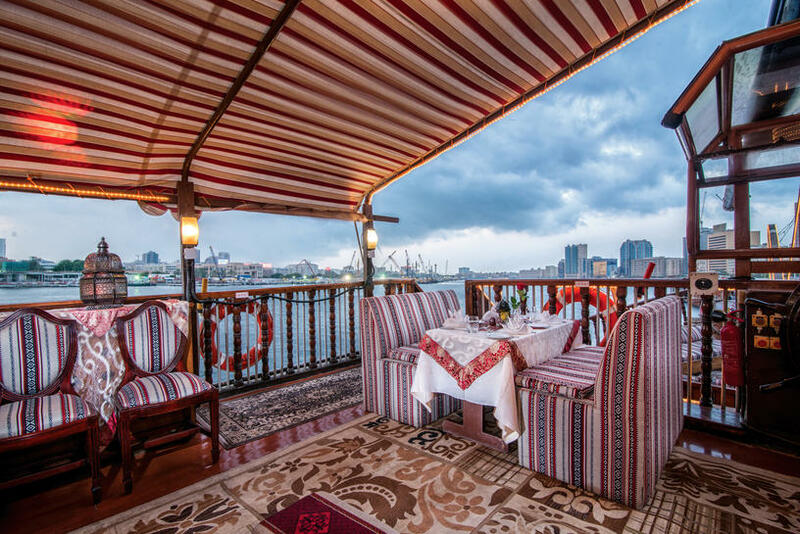 We chose the walking Dhow Al Mansour, which together with the cruise also offered a beautiful dinner on Board. "Al-Mansour" is a wooden boat Dau, decorated along the entire length with shiny lights. It stands on the dock in Deira Bay, next to the five-star Radisson Blu Dubai Deira Creek hotel and belongs to it. Al Mansour was once a cargo ship sailing between the UAE and India, so it looks exactly like you'd expect from an Arab ship: with wooden old-fashioned details, Arabic rugs, and soft pillows. 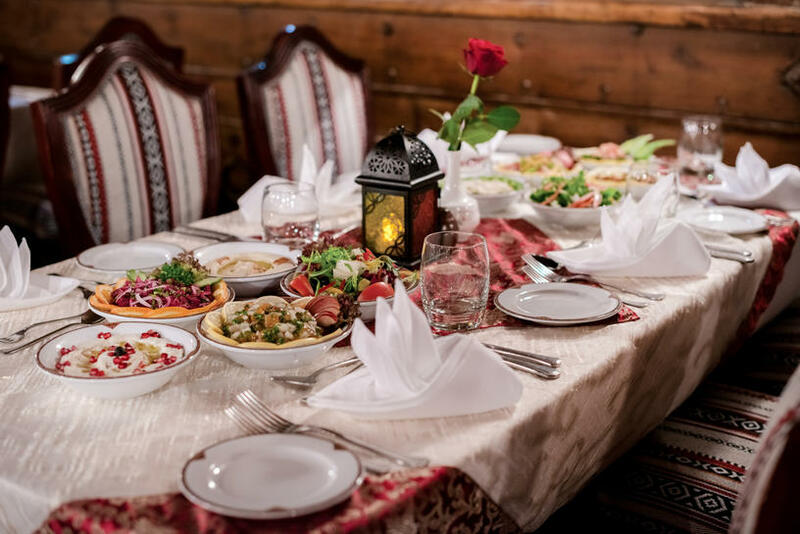 You will be met at the pier and led along the red carpet up the wooden steps to the upper deck, where there are tables for dinner and equipped with a stage for Arabic dances. You can stay either here on the outdoor terrace or downstairs in the cool air conditioning (but you can combine both options). Dinner at the East generous. You will be offered Arabic and Indian food, including traditional snacks, bariani, curry, salads and many vegetarian dishes. Among other things, there is a great selection of desserts and you can always talk to the chef, who often happens on the ship and watches the dishes. We recommend not to give up the dessert Um Ali-sweet pudding with bread, nuts, raisins, honey, cardamom, cinnamon and a drop of rose water. The waiters are polite and attentive. They are not only excellent service, but also tell you what attractions you swim past. Live Arabic music will create the right atmosphere during the cruise. The ship floats past the Gold Souk and the spice Souk of Dubai. On the horizon shines the tower of the Burj Khalifa and the skyscrapers of downtown. You can feel the charm of nostalgic Arab travel, as once in the past. In addition, you will be able to see the new promenade and the shindagha district, which were renovated by the government of Dubai's historic old quarter, which tells the history of the city, prior to the current metropolis. Thanks to the efforts of Sheikh Mohammed, the area has recently been improved and made suitable for tourists. Here you can get acquainted not only with the Emirati architectural heritage, but also visit the many cozy cafes and restaurants near the Bay.